Whether you cloth diaper or use traditional disposables, this homemade wipe solution is so great. It it cost-effective, safe and gentle on little bums, helps with diaper rash, and smells so sweetly of herbs. We prefer to make the solution and use it as a spray, but you can also make homemade wipes using this same recipe. We use these flannel wipes instead of disposables and most often just wash our little man's bum with plain old warm water. Sometimes, though you need reinforcements, and the essential oils I use are great for this! *This makes 8 ounces, so I divide it between two 4 ounces bottles and keep one on the changing table and one in our diaper bag. Alternatively, you can store in an 8 ounce glass spray bottle. Place ingredients in a small glass bowl in the order listed and mix well. Pour into your glass bottle and keep at room temperature. I like to divide it between two small bottles and keep one in Elliot's room and one in the diaper bag. Simply place cloth wipes or washcloths in a container of your choice and pour the solution over them. Alternatively, you can cut a roll of paper towels in half and place in a container and cover with the solution, if that suits your preference. 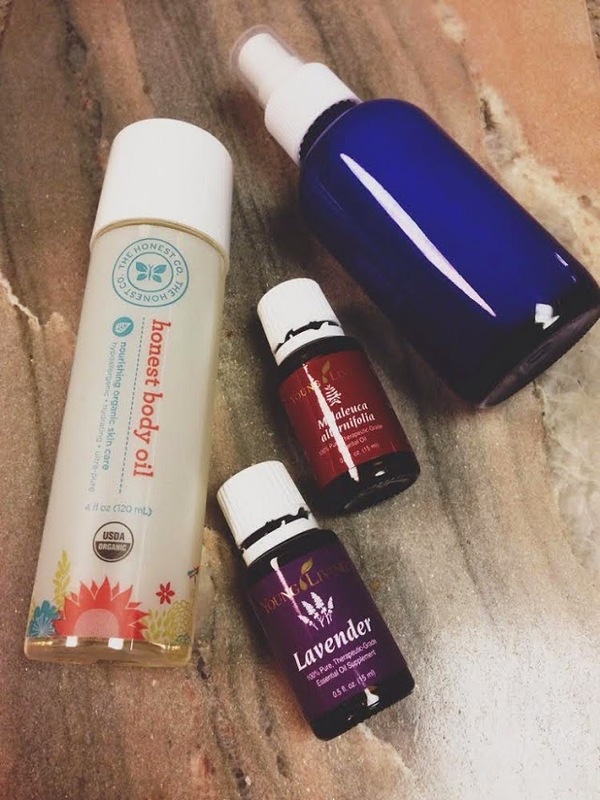 To learn more about Young Living Essential Oils and/or to get a starter kit of your own (and a 24% discount on all oils!) click here.